There is now a host of companies that will send meals and produce to your doorstep with just the click of a button. 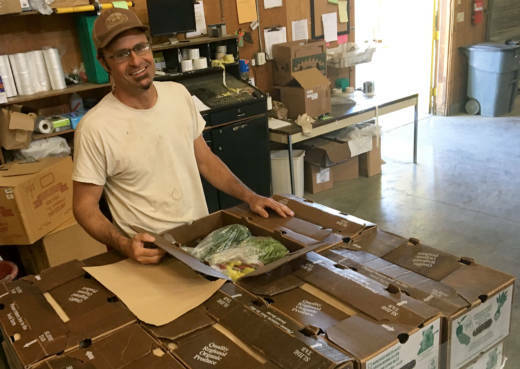 But with all the new options, fewer people are ordering boxes of fruits and vegetables straight from farmers like Paul Underhill. Underhill built his Terra Firma Farm in Yolo County on the CSA, or community-supported agriculture, model. In a CSA, subscribers -- mostly middle-class urbanites -- buy memberships and then farmers ship them boxes of produce. There are no middlemen. The money goes directly from the consumers to farmers like Underhill. Underhill said the CSA model allowed him to avoid loans and eventually buy his land. "It was basically like the 20th-century farming equivalent of a funding website," he said. CSAs got started in Japan and Europe in the '60s, and by the '80s they had made their way to the United States. CSAs were embraced by small farmers as a way to stay in business as mega-farms continued to push down wholesale produce prices. Underhill has been shipping CSA boxes for almost 25 years, and for over a decade and a half, business grew steadily. Then the recession hit, and things have been downhill ever since. "Back in 2008 we were delivering 1,300 to 1,400 boxes a week," Underhill said. "Now we’re doing somewhere between 750 and 850." Underhill attributes some of the decline in CSA business to meal and produce delivery services like Sun Basket, HelloFresh and Blue Apron. He said these companies co-opted the direct-from-the-farmer brand established by CSAs, and unlike small farmers, they have the benefit of venture capital to capture market share. These companies run ads -- often on public radio and podcasts -- offering discounts and freebies. Underhill said giving away free boxes or making steep discounts "would blow a giant hole in any farm’s budget." CSAs used to be one of the few ways for urbanites to get their fix of things like heirloom kohlrabi and purple carrots. Now there are more farmers markets, and organic produce is available at many grocery stores, even Costco. "The local food system, the local food models, have shifted so dramatically in just the past decade or two," Wiig said. With all these choices, Wiig said customers are demanding more control over what they get and when. 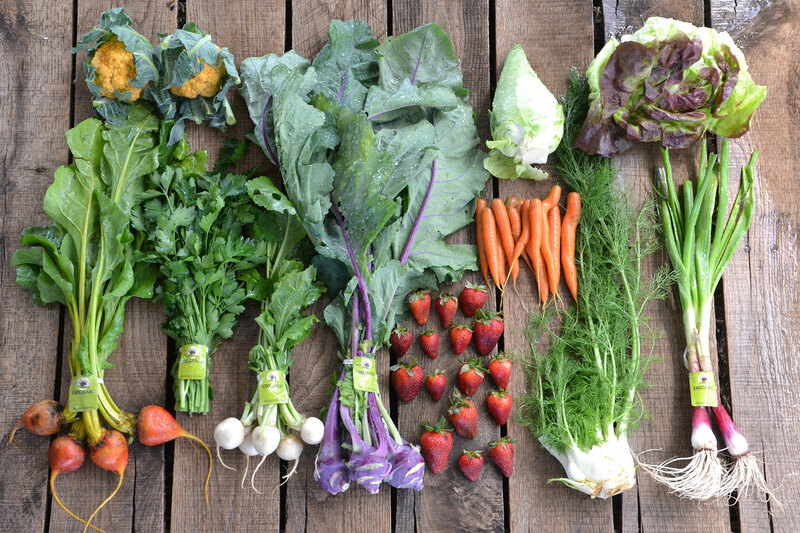 The buy-direct, support-the-farm ethos of CSAs is getting lost in the pursuit of convenience. 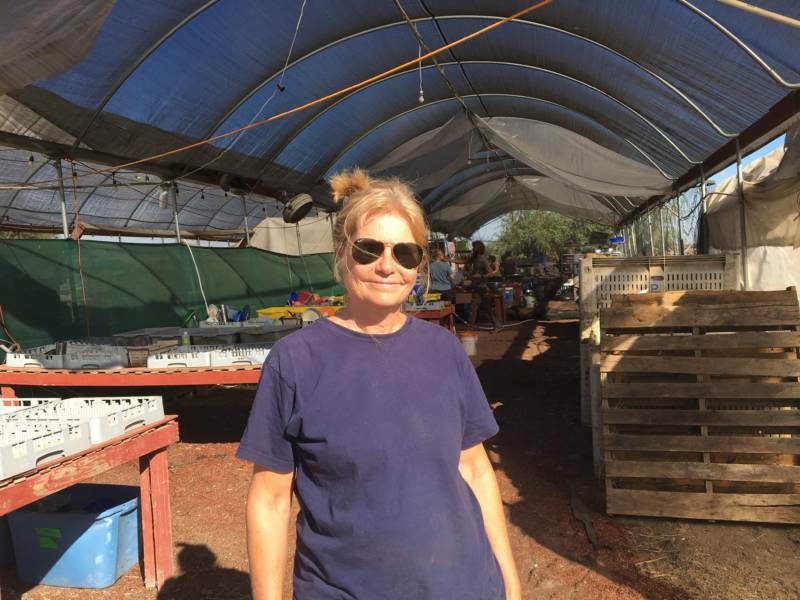 Lorraine Walker's Eatwell Farm near Davis relies on the CSA model. She is trying to retain customers by offering add-ons to her boxes: eggs, chicken stock and sodas made with herbs on the farm. She also invites members to the farm to do things like pick strawberries and make pasta sauce. "That's the one thing no one else can offer," Walker said, "The true connection to the farm, to the soil, to the plants, and to where your food comes from." To make up for the loss of CSA revenue, Underhill has gone back to growing more for restaurants and grocery stores. He said other nearby CSA farms have started selling to the new meal and produce delivery services. Selling wholesale might help make ends meet for a while. But with today’s low produce prices and slim margins, Underhill said going through any middleman is not a long-term solution for a small farmer like him.